Home Acceptance What does it mean to be authentic? What does it mean to live authentically? If you’re interested in hearing several expert opinions on this topic, please join me, along with four other speakers, for the free ‘Authentically You Telesummit’ November 1-3, 2013. If you’ve always wondered how to be authentic in challenging situations, with people who aren’t, or when you’re under stress, you’ll want to join this powerful Telesummit. 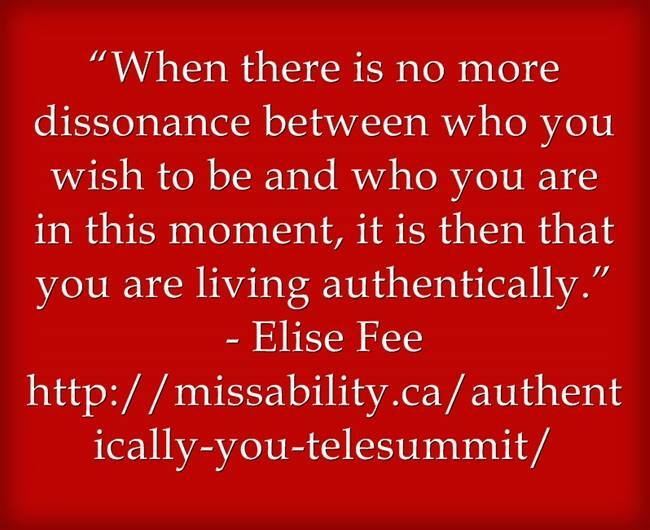 Sponsored by Miss Ability, the ‘Authentically You Telesummit’ is being offered free of charge to all who register in advance. You’ll be able to listen to the experts as they’re interviewed about being real, how to become more of your true self, how to live your purpose, and more. The recordings will be available for 24 hours after the Telesummit; however, if you’re like me and enjoy listening again and again for more ideas and insights, you’ll want to take advantage of the Upgrade Package. When you purchase the Upgrade Package, you’ll receive all the recordings and transcripts of the five expert interviews, along with giveaways and valuable bonus offers from each expert. I hope you’ll join me for this powerful and life-changing experience. P.S. All profits will be donated to charity!